​The R Bar is located at the base of the Centrum. 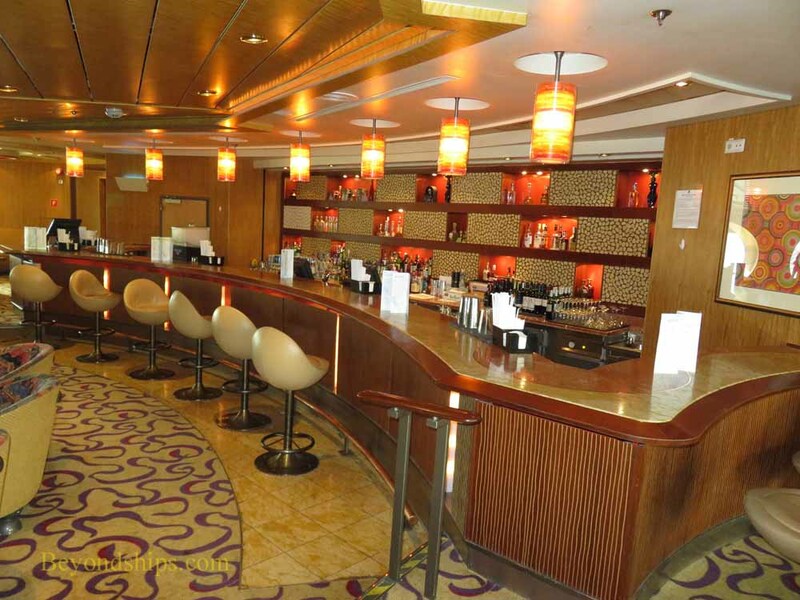 A relative newcomer to the ship,it replaced the former Champagne Bar. The bar is part martini bar and part experimental creating its own mixed drinks. 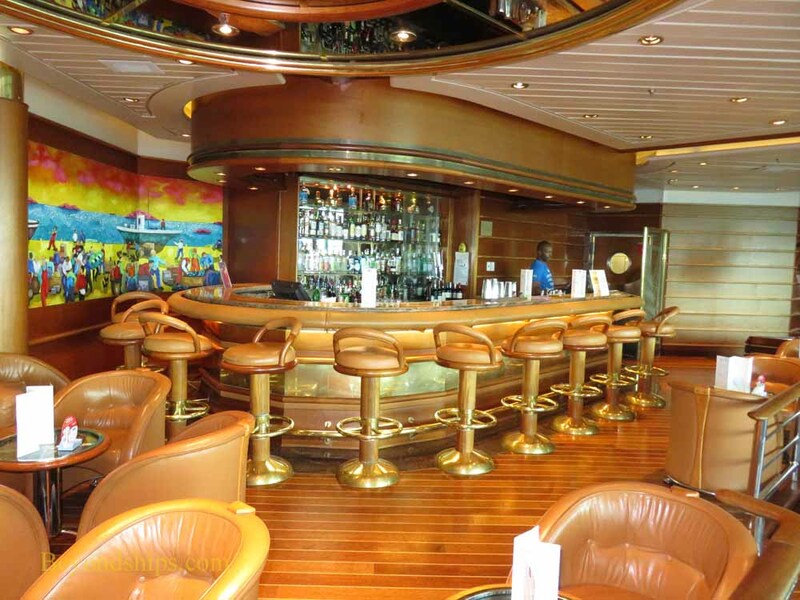 The Viking Crown Lounge, located at the top of the ship, is a Royal Caribbean tradition. It is a large nightclub with excellent views. 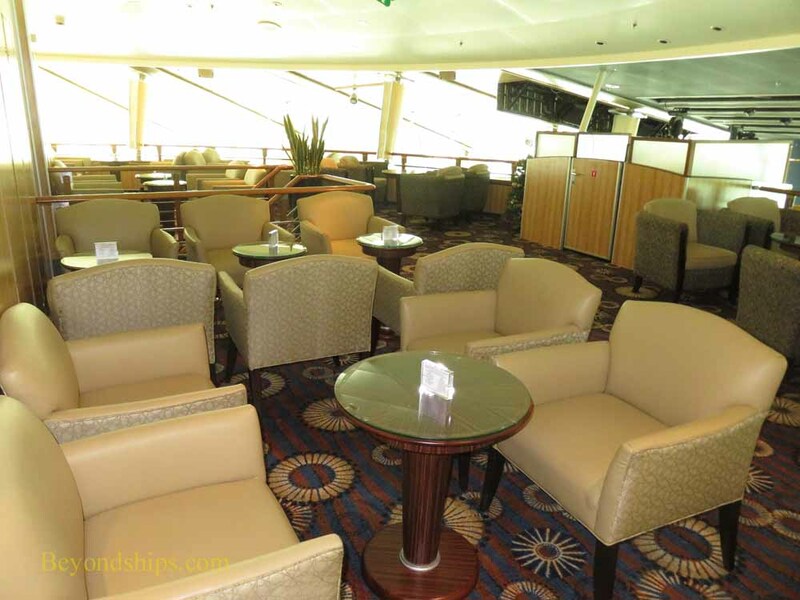 During the day, it is a quiet place to escape from it all. A DJ is featured at night. 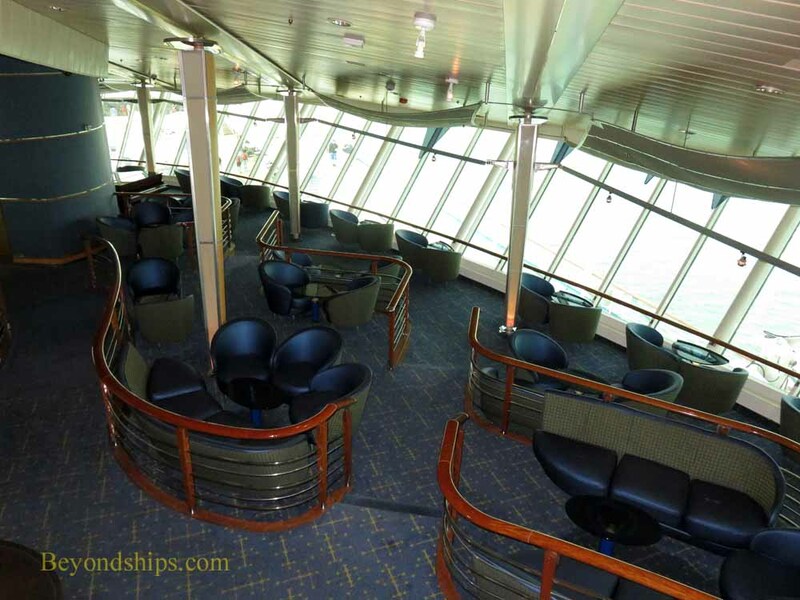 Also in the Viking Crown is the Diamond Lounge (below left) and the Concierge Club (below right). 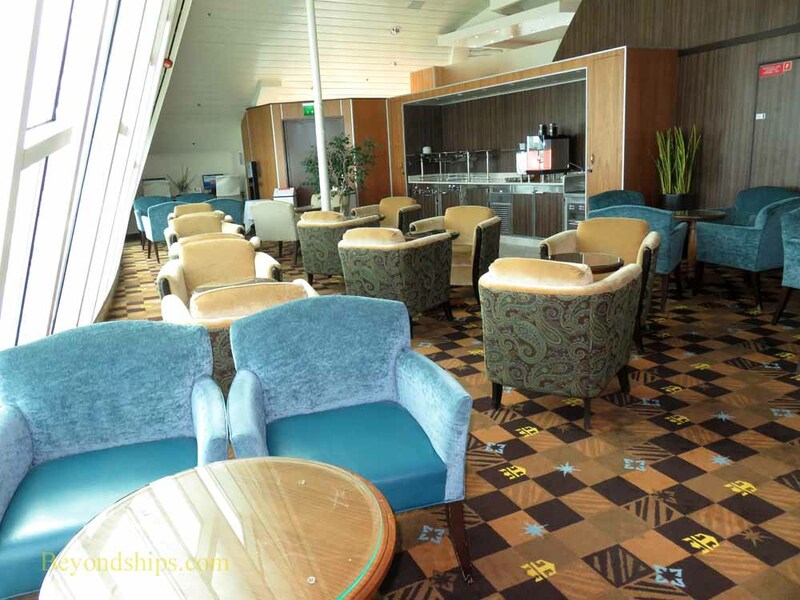 The Diamond Lounge is for the use of Diamond level and above members of Royal Caribbean's loyalty program the Crown and Anchor Society. 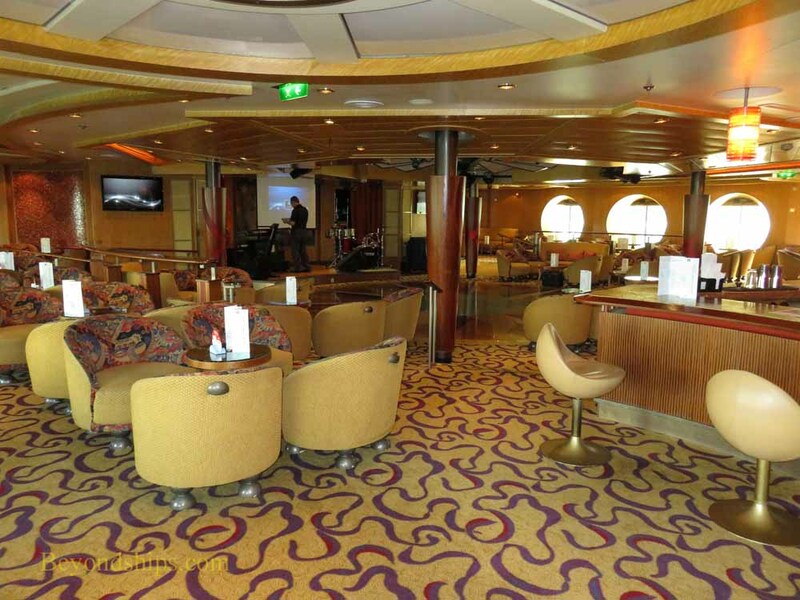 The Concierge Club is open to Diamon Plus and above members of the Crown and Anchor Society and to guests staying in certain suites. The Schooner Bar. 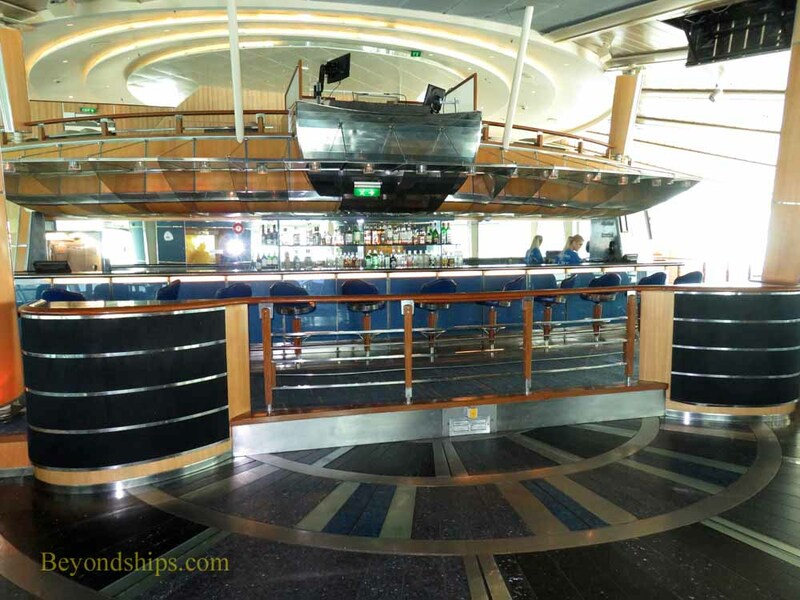 is another Royal Caribbean institution. 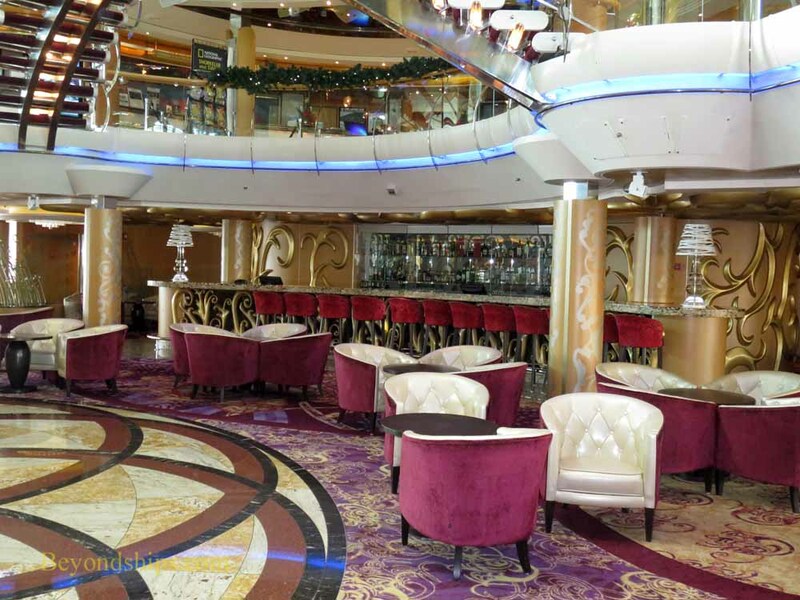 It is a popular piano bar in the evenings. During the day, trivia contests and other similar activities are held here. it is used for various activities.. 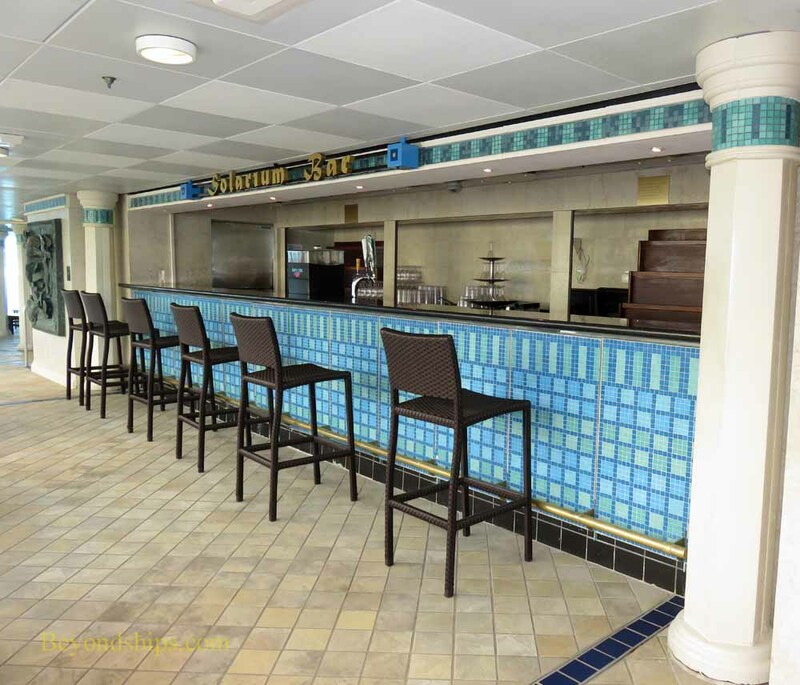 There are bars serving the ship's pool areas. Left: The Solarium Bar. 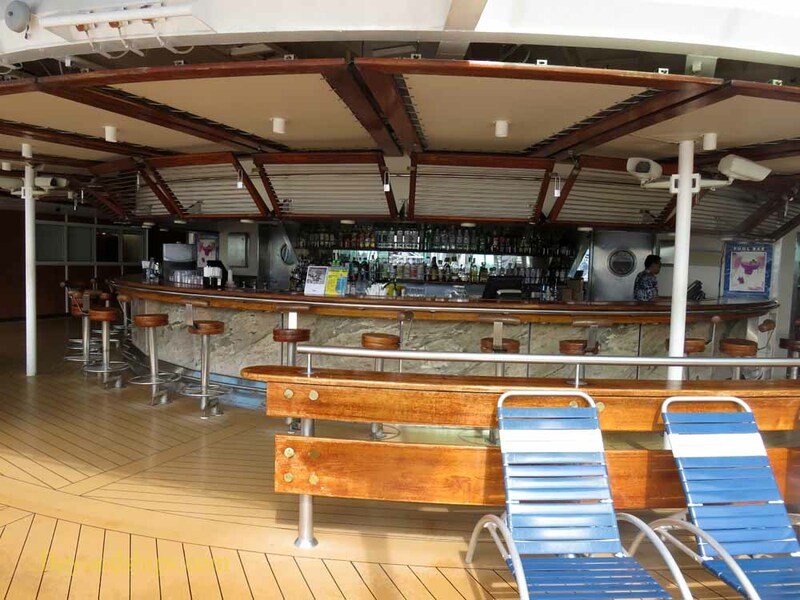 Below left: The Oasis Bar is under one of the suspension bridges in the Main Pool Area. 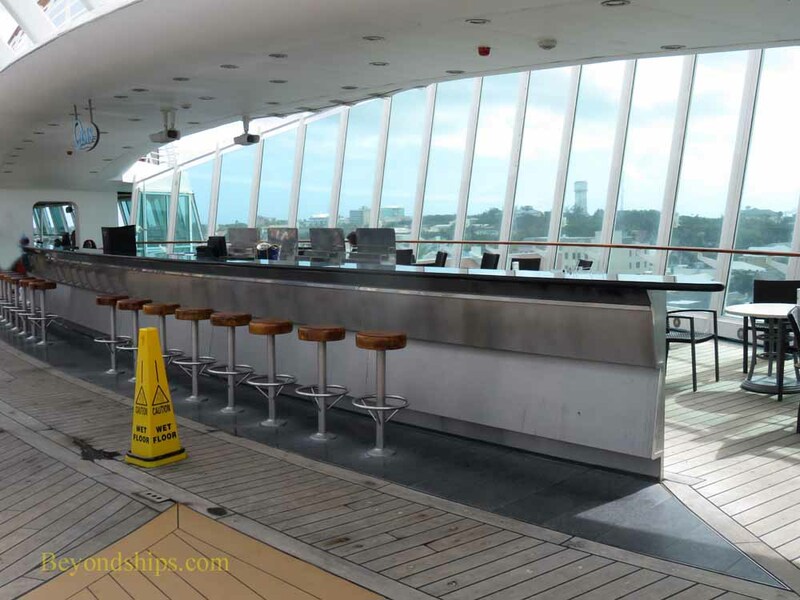 Below Right: The Pool Bar is at the forward end of the Main Pool Area.